With nature play being a growing focus in many of our primary schools and early learning centres, educators are always seeking new stories to complement this curriculum. Bertha and Bear tells the story of Bertha, a bee scout, commissioned with the responsibility of locating a new hive for the bee colony when the safety of their existing home is compromised during a storm. Fearing failure, Bertha is forced to travel deep into the woods where she meets Bear and the pair collaborate in an unlikely friendship that guarantees success in her quest. Bertha and Bear is sparsely told in vivid language. The author employs rhyme and alliteration to drive the narrative forward to its optimistic conclusion. Christine Sharp’s whimsical illustrations and friendly cast of characters will appeal to younger readers. Her colourful drawings, situated in nature, may even inspire young artists to capture the beauty of the environment in their drawings and paintings. Sharp’s story will certainly provoke rich discussion in classroom about the role of bees in our planet’s ecosystem and the concerns regarding their survival. In line with nature play curriculums, I envisage that children will appreciate opportunities to address some of these concerns through practical activities with a sustainability focus. I must confess that, while delightfully illustrated and beautifully told, this title never quite had that special magic that will take it to the next level. Furthermore, I can’t help but feel disappointed that the book’s creator failed to contextualise the story within an Australian setting. After all, we have numerous species of native bees and surely there is a tale to be discovered about the relationship of these fascinating insects to the fauna they live in (and possibly our indigenous people too). That said, Bertha and Bear remains a story that will effectively operate as a starting point for children in the early years as they learn about the unique role of bees in our ecosystem. In my first year of teaching I learned the value of a carefully chosen picture book for the purposes of introducing a topic or addressing tricky issues. Seventeen years later, I have a growing stash of these that I continue to revisit with students in the secondary classroom across a range of subject areas. As an English specialist, I continue to appreciate the accessibility of these texts, the many layers of reading they encourage as they engage captive audiences in a reading activity that nearly always harnesses a range of interpretative skills. Picture books are a blessing for the time poor educator. They tick many boxes and set the scene for a high level of student engagement. First published in Canada, Stepping Stones, is a welcome addition to my personal collection and is one that I will draw upon for use in the English, HaSS and Religious Education classroom. Told in both English and Arabic, and narrated by a young girl, Rama; we follow her experience of persecution, death and loss in their war-torn homeland, her families’ escape, journey by foot and their crossing of an unforgiving sea to their eventual, albeit bittersweet, liberation. While clearly drawing from recent history with the story illuminating the experiences within the Syrian context, the tale might easily be supplanted into another setting. Nizar Ali Badr’s artwork which utilises stacked stones to recreate scenes in the story, is culturally neutral, thus inviting a transposing of other refugee narratives. Within the Australian context, I imagine that educators might specifically draw upon experiences of the Vietnamese and Cambodian ‘boat-people’. Similarly, Christian communities would certainly draw parallels to Gospel narratives (Matt 2:13-14) concerning the flight of the Holy Family into Egypt. The provision of both English and Arabic text adds additional linguistic dimension to the story that could be readily exploited by students as an extension activity. While I would use this text exclusively in the secondary classroom, it will appeal to older primary students and, with discretion, may be an effective tool for engaging dialogue with new arrivals in our school communities. The story will certainly find its place in many of our Syrian and Middle-Eastern communities in Australia with many families likely to embrace it as a vehicle for intergenerational sharing and a celebration of language. I commend Stepping Stones as a text that provides an authentic voice for educators who seek to promote cultural diversity, while engaging frankly with their students on issues related to refugees and asylum seekers. Picture books, especially those targeted at pre and early readers, tend to be at their best when they are shared. While for the most part reading to our five-year-old daughter is the responsibility of my husband and myself; I love it when I find a picture book that has other members of the family clambering to get in on the action too. This was the situation when My Brother is a Beast appeared on my door step. “Awesome!” proclaimed Master Eleven as he turned to his younger sister, “I’m reading this to you tonight.” Our youngest child, by way of positive reaction, promptly squealed with delight. I firmly believe that books are meant to be shared, and that while parents are ultimately the key players in fostering a love of reading in children, there is nothing more powerful to this endeavour, than when the whole family (especially older children) get involved in the promotion of reading as a joyful activity. You see, often it doesn’t matter how many books children have, unless the home is one where reading is the dominant culture for all, it can be difficult to engage children in this activity (or get them to think positively about reading as a form of leisure). Indeed, Young and Carnavas’ series of books are exciting, in that they not only encourage the sharing of stories but they promote positive relationships between siblings (and other family members) with books as the vehicle. My Brother is a Beast is the fourth book in a series of books celebrating family (My Sister is a Superhero, My Nana is a Ninja and My Pop is a Pirate). This, along with other books in the series will provide a perfect entry point for discussions about family structures and diversity. Directed primarily towards children in the early years, My Brother is a Beast is appropriate for use in child-care, pre-school and junior primary settings. Of course, with the strong focus upon family it will certainly become a favourite choice shared between siblings. As with the other titles in the series, the simple language is accessible for even the youngest of children, while beginning readers will find enough challenge to be extended without being overwhelmed. Children will enjoy the rhythmic language in a narrative that makes use of simple alliteration and a clear pattern and rhyme that will encourage participation. I was again enamoured with Carnavas’ delightful watercolour illustrations rendered in cheery colours. Text is clear and easy to read for beginner readers and children will enjoy following the words with their fingertips as they weave and move across the page. As with the other titles in the series, children will enjoy finding the various animal characters scattered throughout the story. Children will also appreciate exploring the sepia illustrations found in the inside of both back and front covers. My Brother is a Beast is a light, yet deeply engaging read that demands to be re-visited, all the while fostering a love of language in young readers. With the book receiving top marks from its intended audience I was keen to read it myself and gauge how it might be useful as a resource for teachers. Thematically, the story is a simple one that celebrates the diversity of sisters, with a general aim of fostering positive relationships between siblings. It would be a wonderful story for younger siblings to read or, alternately, a fantastic story for older sisters with a view to generating discussion about the responsibilities attached to this role. Pitched at younger readers, My Sister is a Superhero is perfect for use in a variety of early learning settings and within the junior primary classroom. With a strong focus upon family it works well for sharing in the home. The simple language is accessible for even the youngest of children, while beginning readers will find enough challenge to be extended without being overwhelmed. The narrative makes use of simple alliterative language (repetition of s, d, p, c, t predominate) and the telling encourages participation, driven by a clear pattern and rhythm that is only broken on the last page. As an adult I appreciated the clever play with language that created vivid images (bench pressing trolls, chocolate cake digging dwarves), while bringing to life the diversity of activities undertaken by sisters who are all united by their shared brilliance. I was captivated with Carnavas’ delightful illustrations rendered in primary colours in calming watercolour. The use of white space provides an excellent balance, complementing the text without adding unnecessary busyness to the page. My 4 year old had lots of fun finding the frog, koala and chicken scattered throughout the story. Of special note are the delightful sepia coloured illustrations found on the inside page of both front and back covers. My Sister is a Superhero is the third book in a series of books celebrating family (My Nana is a Ninja and My Pop is a Pirate) . This, along with other books in the series will provide a perfect segue into discussions about family structures and diversity. It is a light, entertaining read that only improves with re-reading whilst fostering a love of language in young readers. Teachers notes, based on the National Curriculum, are available here. Since the launch of the Australian Curriculum for English, teachers have been on the hunt for great books to use when exploring Asian perspectives in the classroom. 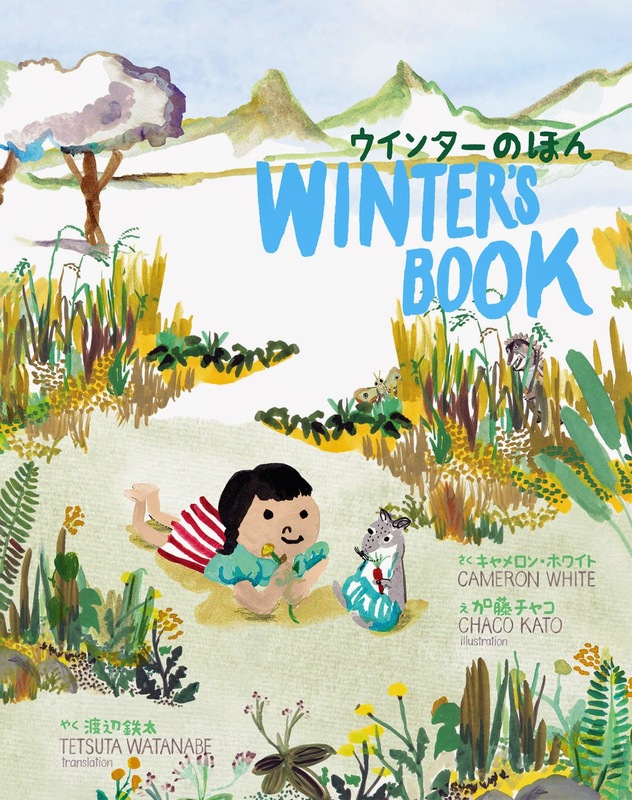 This theme, which spans all year levels, seeks to “emphasise Australia’s links to Asia.” Cameron White’s simply titled picture-book, Winter’s Book, provides opportunities to engage students with Japanese culture and language with a range of applications across a range of subjects and grade bands. Winter’s Book tells the story of Winter, left behind while her father is on a business trip to Japan to research his book on animals. Winter and her pet hamster Hamlet look forward to his messages and occupy themselves during his absence by creating their very own book. Told in language which is as beautiful as it is sparse, Winter’s Book is bilingual with the English prose accompanied by its Japanese translation. Chaco Kato’s delightful watercolour illustrations have a distinctly Japanese flavour and their simplicity is a perfect marriage for White’s story. Upon first inspection, this book is an obvious choice for students in the lower years of primary school. It would lend itself well to being shared as a class text, opening up discussion to topics such as language, writing, Japan and its culture. 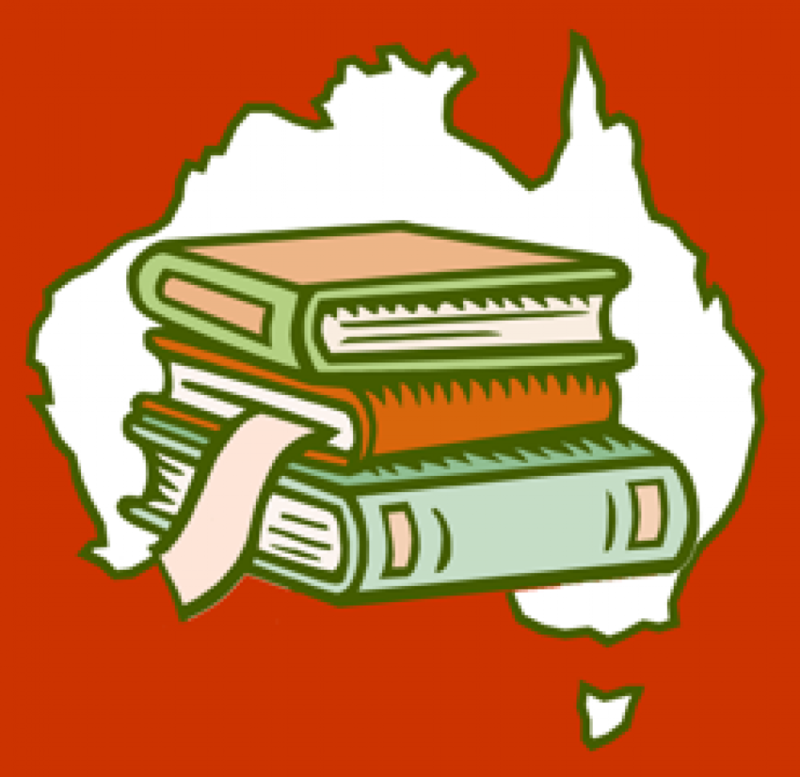 As a follow up task, younger students will enjoy creating their own ‘little books’ that might be related to research on Japan, Australia or perhaps another Asian country. Similarly, the story could also inspire an investigation of water colour painting in the Japanese tradition, to be followed by some practical application of this knowledge. Winter’s Tale might also be utilised as a resource with Japanese language students in both primary and secondary classrooms. Older students will be able to translate the Japanese text into English (perhaps with the aid of some sticky notes to cover the English). Similarly, schools with Japanese exchange students, might also utilise the book within their ESL program with students using the Japanese to support their reading of the story in English. I am fortunate to teach in a secondary school where Japanese is taught and where we have a nearly constant supply of Japanese exchange students. 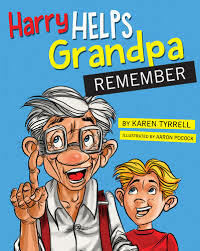 The book was well received by both groups who did not seem at all perturbed by reading something that is generally pitched at younger children. In fact, I wondered if they would ever give it back! My only gripe with White’s story is the admission of Hamlet, who while being talented and highly entertaining, is a hamster. I found this an odd choice, since children in Australia don’t have hamsters as pets. Perhaps for greater authenticity in the Australian market, Hamlet needed to be called Georgie the guinea pig! Winter’s Book is currently available online for purchase in hard copy format or via specialist independent book stores. The author intends to release the story as an e-book in the future, making this a highly accessible resource for classroom use and electronic whiteboards.